Tractor Trailer Underride Accidents are a devastating and often deadly accident. It happens when a stopped or slow moving truck is impacted from the rear by a smaller car which slides under the trailer and gets stuck there. Side underride accidents can also occur during lane changes where a smaller vehicle slides under the side of the tractor-trailer. In underriding accidents, the occupants of the smaller vehicle usually come into direct contract with the truck because the top of the car is flattened, cut off entirely, or when a sharp portion of the trailer penetrates the car. Due to the difference in size and weight between a passenger vehicle versus a tractor trailer, underride accidents result in catastrophic injuries or death. Safety features exist to prevent underride accidents but not all trucks utilize these safety systems. 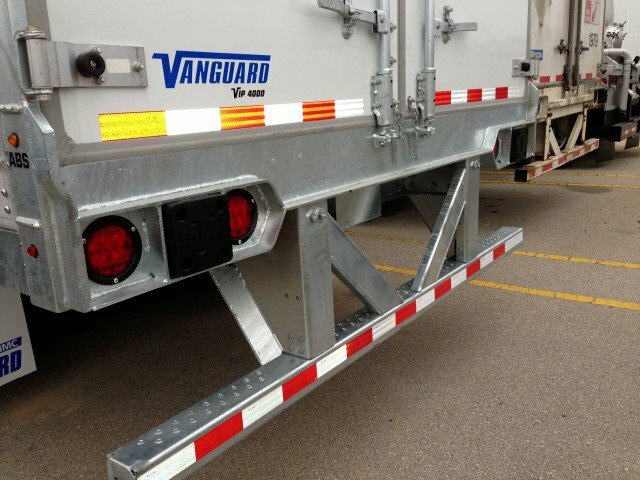 For example, the rear bumper of a tractor-trailer should be positioned lower down and have a truck guard to prevent cars from sliding underneath. But in many cases the guards are not installed or they fail to work properly. According to the Insurance Institute for Highway Safety, a safety test was conducted where a passenger car hit the rear of a tractor trailer at 35 m.p.h. 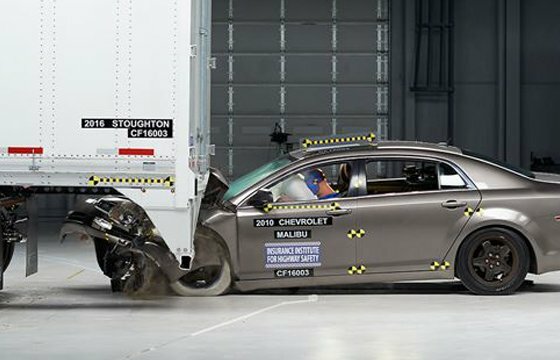 Even though the rear trailer had an approved truck guard that met U.S. federal regulations, the smaller car crashed right through the guard crushing the vehicle. One way to improve safety is to change the regulations to require stronger guards. Similar rear guardrails in Canada are 75% stronger than the guards used in the United States. Federal regulations currently do not require guards along the sides of tractor trailers. 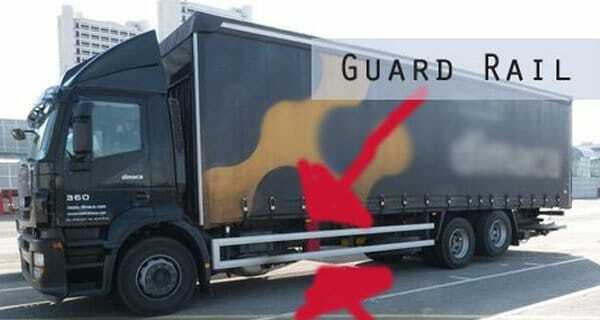 If guards were placed in the rear and along the sides, these types of accidents would be further reduced. The National Transportation Safety Board has recommended side guards but the transportation industry lobby has not embraced the idea. Reflective devices such as reflective paint and tape make the tractor trailer more visible at night so other drivers can avoid the danger. Reflective hazard signs are required to be used when trucks are parked on the side of the highway to prevent other drivers from accidentally driving into the back of an otherwise dark and dirty hard to see trailer positioned a few feet from the driving lane. Government statistics confirm that more than 200 individuals are killed in underride accidents every year. The catastrophic impact of underride crashes was highlighted earlier this year, when a self-driven Tesla vehicle crashed into tractor trailer, killing the vehicle occupant. But the dangers of underride accidents have been well known for many years. About fifty years ago, Hollywood superstar Jane Mansfield was killed in a highway truck accident where her car crashed into the rear of a tractor trailer. The driver’s view was compromised as he passed another vehicle which emitted a fog for mosquito spraying. This accident which killed three people ignited calls for side and rear guard protection but it was not until 31 years later that Federal regulations mandated rear protection in 1998.